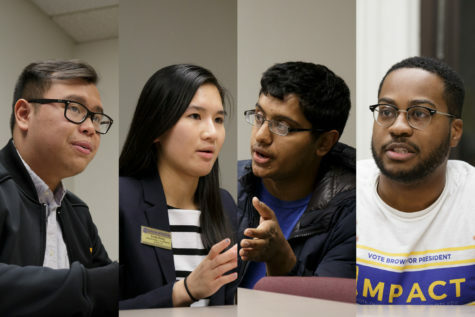 Pitt Student Government Board introduced its first two resolutions of the year Tuesday, calling on elected officials to support both DACA recipients and state funding for Pitt. The Trump administration last week called for the end of DACA — an Obama executive order which allowed about 800,000 undocumented young people to stay in the U.S. to work and attend school. The board said in the resolution that it will support the program to the fullest extent possible. 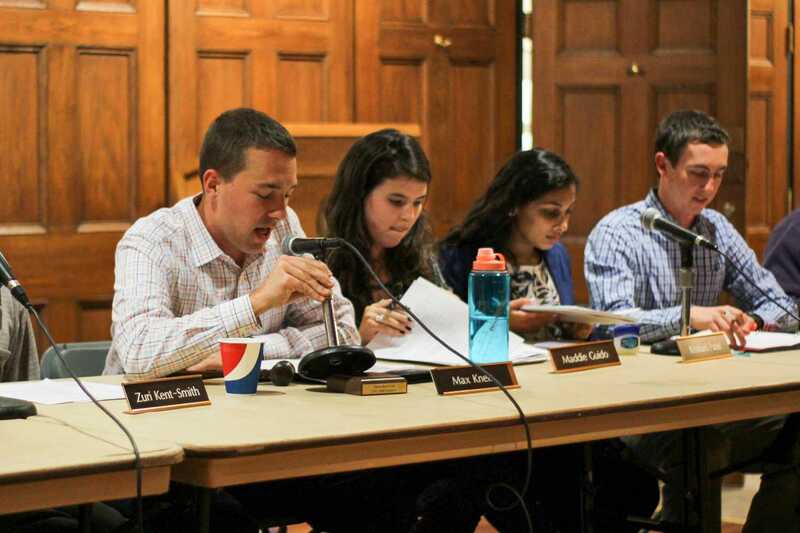 “The Student Government Board will take action to defend the rights of DREAMers [DACA recipients] and ensure the safety and wellbeing of these students,” the resolution says. 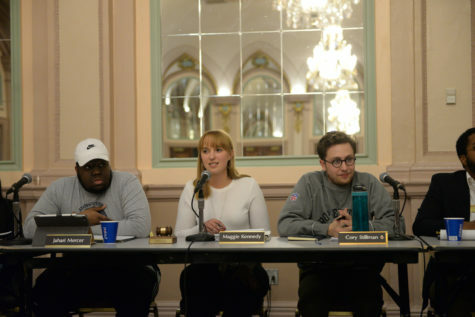 Board Member Maddie Guido said they hope their support will cause a snowball effect and get other universities speaking up as well. 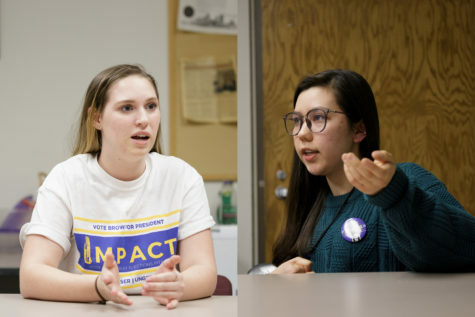 Executive Vice President Zuri Kent-Smith, credited by Guido as the brains behind the resolution, said DACA recipients are vital to the U.S. economy and society. 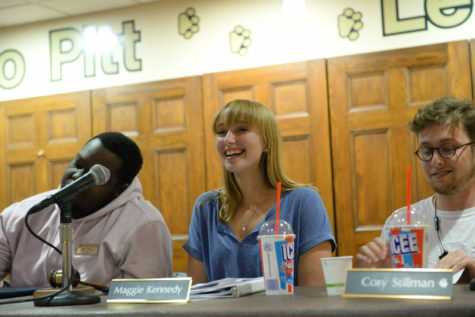 “Personally, I think empathy would make the world a better place,” Kent-Smith said. 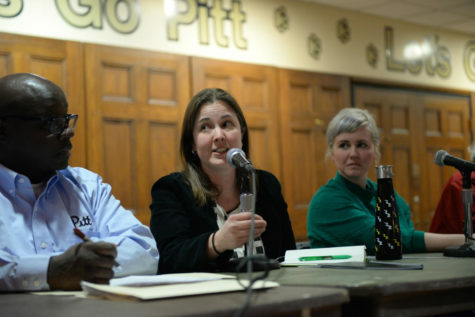 The second resolution urged for the Pennsylvania legislature to pass Pitt’s appropriation — more than $150 million in public funds. The state government is struggling to pass a revenue plan which could put University public funding in jeopardy. 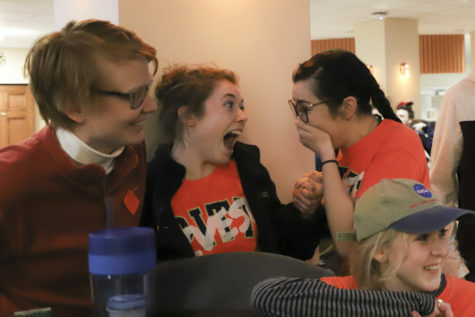 “Governor Tom Wolf and all members of the Pennsylvania General Assembly, regardless of party affiliation, are responsible for restoring higher-education funding and resolving the budget impasse,” the resolution says. Board member Ian Callahan announced the rebranding of SGB’s Safety Fair as the Safety and Wellness Fair. 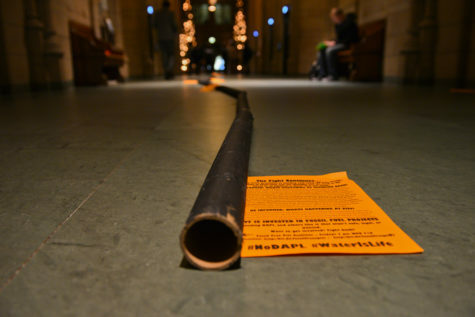 He said it will better encompass the different types of organizations at the event — Pitt Police, Active Minds and the Pennsylvania Department of Environment and Safety. 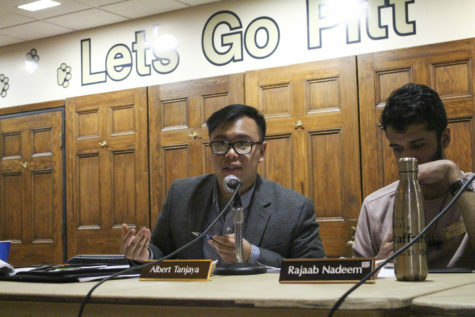 “The purpose of the event will be to educate as many students as possible about safety on campus from transportation to anti-theft to diet,” he said of the event scheduled for Sept. 29. “The previous name had too much of a ‘Timon and Pumba’ vibe,” Fall said. The Student Dietetic Association requested $2,336 tor travel to its FENCE conference. The Board approved $1,948.00 and denied $388.00. The Panther Airsoft Club requested $700.00 for travel expense. The Board approved in full. The Women’s Rugby Club requested $510.00 for a purchase, rental and service expense. The Board approved in full. The Filipino Student Association requested $369.16 for a travel expense. The Board denied the request in full. Pitt Triathlon requested $475.00 for a competition expense. The Board approved in full. The Club Cross Country team requested $1,000.00 for a competition expense. The Board approved in full. The Model United Nations team requested $3,168.66 for travel to its UNCMUNC competition. The Board approved in full. The Women’s Club Soccer team requested $41.02 for a competition expense. The Board approved in full. The Chabad House on Campus requested $1,100.00 for a program expense. The Board approved in full. Club Football requested $1,140.00 for a purchase, rental and service expense. The Board approved in full. The Hindu Students Council requested $2,294.71 for its Navratri Garba event. The Board approved $2,169.71 and denied $125.00. Editor’s note: A previous version of this article misspelled the name “Nihita Manem” as “Nikita Manem.” Also, it said “Grub Club” was being renamed “Meet and Eat.” This is not true. 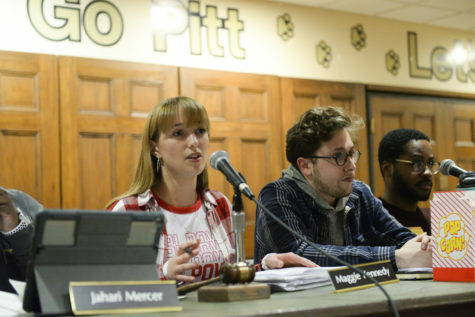 According to Max Knies, president of SGB, the new name of the organization is “Eat and Greet .” The Pitt News regrets these errors.